21 Savage is out of custody more than a week after getting arrested by immigration officials. The rapper, 26, has been released on bond pending a deportation hearing, multiple sources have confirmed. 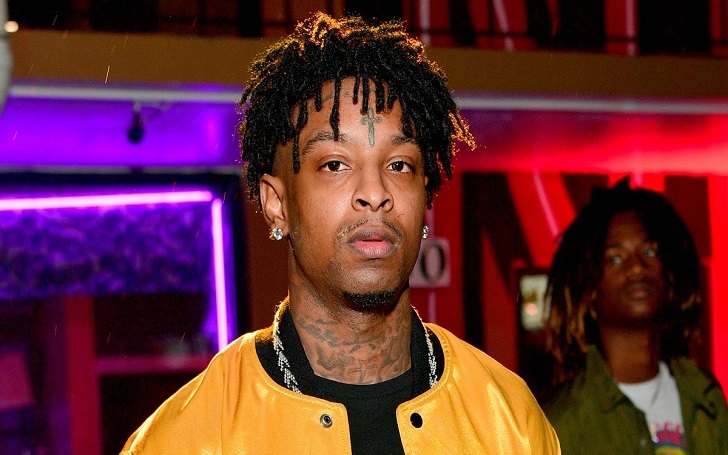 Attorneys for the musical artist told TMZ, "21 Savage asked us to send a special message to his fans and supporters". He says that while he wasn’t present at the Grammy Awards, he was there in spirit and is grateful for the support from around the world and is, more than ever, ready to be with his loved ones and continue making music that brings people together. 21 Savage will not forget this ordeal or any of the other fathers, sons, family members, and faceless people he was locked up with or that remain unjustly incarcerated across the country. He has reportedly asked "for your hearts and minds to be with them". The “X” rapper, one of the ex-boyfriends of Amber Rose, was taken into the custody by U.S. Immigration and Customs Enforcement officers in Atlanta on February 3. According to a statement to the Atlanta Journal-Constitution, ICE labeled him "unlawfully present United Kingdom national Sha Yaa Bin Abraham-Joseph". ICE also showed that 21 Savage had been placed in "removal proceedings before the federal immigration courts". A federal judge reportedly would "determine future actions". 21 Savage recently also made headlines because of a controversial tweet shared by Demi Lovato.